Our faculty in European history have particular strengths in the Late Antique period, the Mediterranean, the Early Middle Ages, the Crusades and Christian-Muslim relations, Medieval and Renaissance Intellectual History, Continental Reformation history and Modern European History (particularly of Germany). Faculty guide masters’ theses and doctoral dissertations, and offer a wide range of graduate and undergraduate courses. Particular topical strengths of the Europeanists in our department are: war and society/culture; religious communities and conceptions of holiness and heresy; the history of empire; race, nation, and gender; borderlands; the history of science; and international relations and diplomacy. 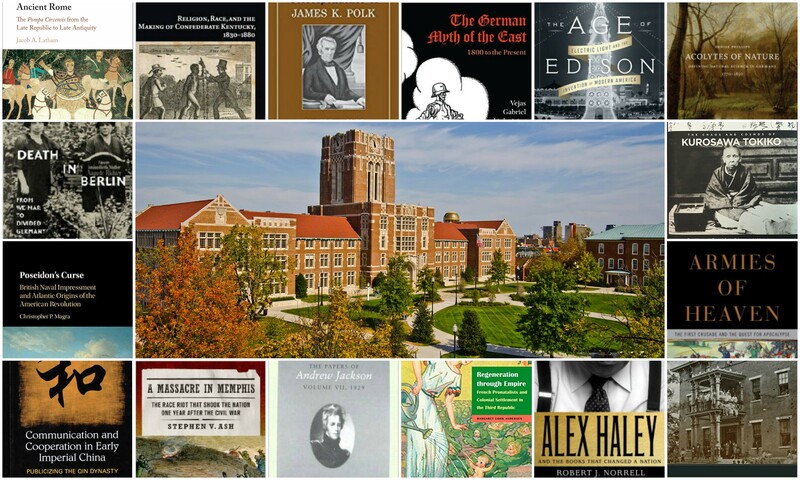 In addition, through General Education Western Civilization courses, the European history faculty teach a large percentage of all the undergraduates at UT. Andersen, Margaret: Modern France; French Revolution; Nineteenth and Twentieth Century Europe; Modern European Imperialism. Bast, Robert: Late Middle Ages; Early Modern Germany; Renaissance; Reformation. Black, Monica: Modern Europe, Modern Germany, especially post 1945. Gillis, Matthew: Early medieval Europe, Carolingian world, Cultural and Intellectual history, Christianization of Europe. Liulevicius, Vejas: Modern Germany, Modern Europe, Eastern Europe, Nazi Germany, Cultural and Intellectual History, Nationalism, and Ethnicity. Petrov, Victor: Modern Balkans & Eastern Europe, Modern European history, Cold War Studies. Phillips, Denise: Eighteenth- and Nineteenth-Century Germany, Modern European, Intellectual and Cultural History, History of Science. Rubenstein, Jay: Medieval England, Medieval France, Normans, Crusades, Cultural and Religious History. Vacca, Alison: Islamic History (Umayyad and early Abbasid periods); medieval Armenia and Azerbaijan; Christian-Muslim relations in the Middle Ages. Our department’s United States historians offer concentrated strengths in the American South, military history, nineteenth-century US history, and twentieth-century US history. They are supported by the outstanding manuscript collections of the UT libraries, two presidential papers projects, and the department’s Center for the Study of War and Society. Faculty members also offer specialized courses in African-American history, Colonial and Early American history, diplomatic history, and women’s and gender history. In teaching general survey courses, upper-division courses, and honors seminars, the professors of US history have been recognized for their commitment to undergraduate education, as has the department in general. These professors play a key role in the graduate program through course work and guiding theses and dissertations. Block, Kristen: Atlantic World, Caribbean, Slavery, Religion, History of Medicine, Women’s & Gender History. Feller, Daniel: Jacksonian and Antebellum America. Freeberg, Ernest: Antebellum, American Religion, First Amendment. Harlow, Luke: nineteenth-century America, Civil War Era, slavery and emancipation, American religion. Hulsether, Mark: Religion, culture, and politics in US history, Twentieth-Century Protestant Social Thought. Magra, Christopher: Early America, Atlantic World. Norrell, Robert: Southern History; Twentieth-Century U.S.; American Race Relations. Olsson, Tore: Modern US, Transnational, Food and Agriculture, Rural, Environmental, Latin America. Sacco, Lynn: Gender and Sexuality; Gilded Age and Progressive Era social and cultural history; US Women’s History; History of Medicine. Winford, Brandon: African American, Twentieth Century U.S., Southern U.S., Black Business History, Civil Rights. 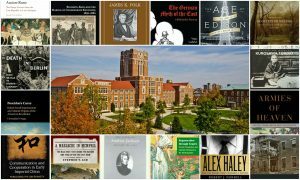 UT’s World History Program draws together the diverse talents and interests of a broad, multidisciplinary faculty. In teaching world history and specialized courses in Jewish history and the history of Africa, China, Japan, Latin America, and the Middle East, these faculty members play an important role in expanding the academic experience and intellectual horizons of UT’s undergraduate students. These faculty members are also an essential part of the graduate program, offering courses, participating in thesis and doctoral committees, and teaching Group III courses. An ability to teach world history has become a common prerequisite for many academic positions offered today. Black, Chad: Early Latin America, Gender and Sexuality, Spanish Legal Culture, Nineteenth-Century Andes and Mexico, Bicycle History. Dessel, J.P.: History and Archaeology of Ancient Israel and the Near East; Rise of Complex Societies; Ethnicity in the Ancient World. Eggers, Nicole: Modern African History, DRCongo, Central Africa/Great Lakes, Health and Healing in Africa, African Religion, Violence, Gender. Sanft, Charles: Early Imperial China, legal history, ritual and translations.